The writer of this blog on Todun focuses on its being part of the hills of North Harris and a peak that has attracted Rhenigidale hostellers. It is obvious that the summit provides views, but their extensiveness over The Pairc and out to The Shiants is impressive. 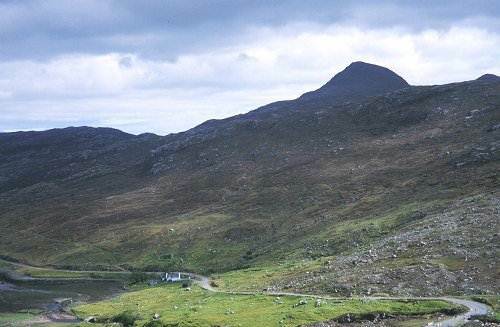 This is what is said: It’s easy now there is a road over the ‘Bealach’ to Rhenigidale. A better approach still is the walk over the Sgriob from near Tarbert, the old way into the village before the road was completed in 1989.